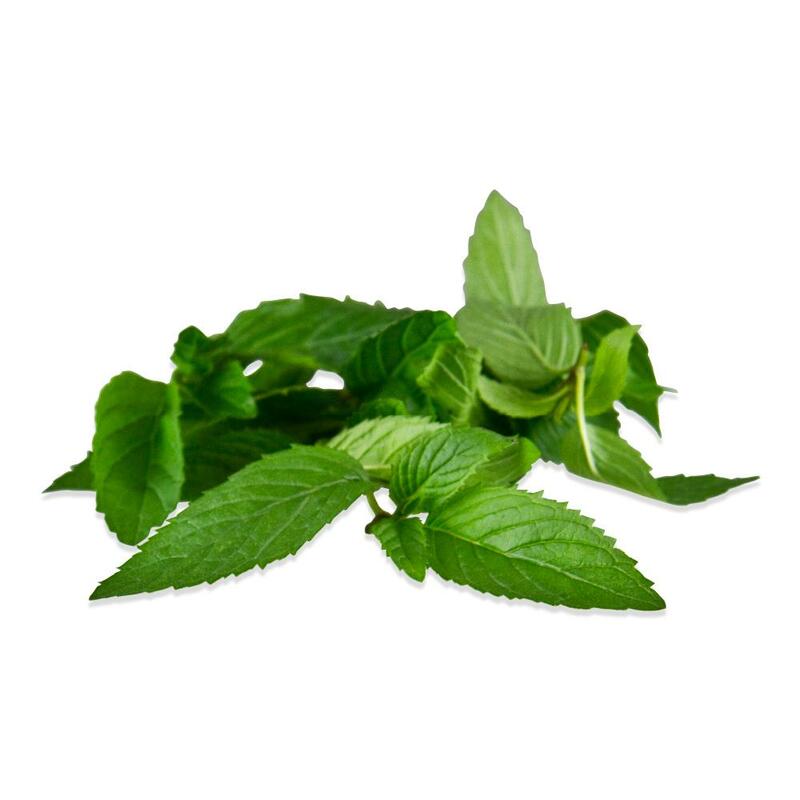 Peppermint (aka hortela) has a much higher menthol content than conventional spearmint, so its flavor is less complex, but also more potent and cooling. It’s used in sweets (especially paired with chocolate) and dried for use as an herbal tea. Bulk fresh spearmint, and a wide variety of other fresh mint varieties are also available. Store peppermint tops in your refrigerator in their plastic clamshell. For long term storage of peppermint, dry it on the stem, then take off the leaves and store them in an air-tight container in a cool, dark place. Air drying provides the best results, but if you don’t have the space or climate for it, you can use your oven set to its lowest setting or a dehydrator. 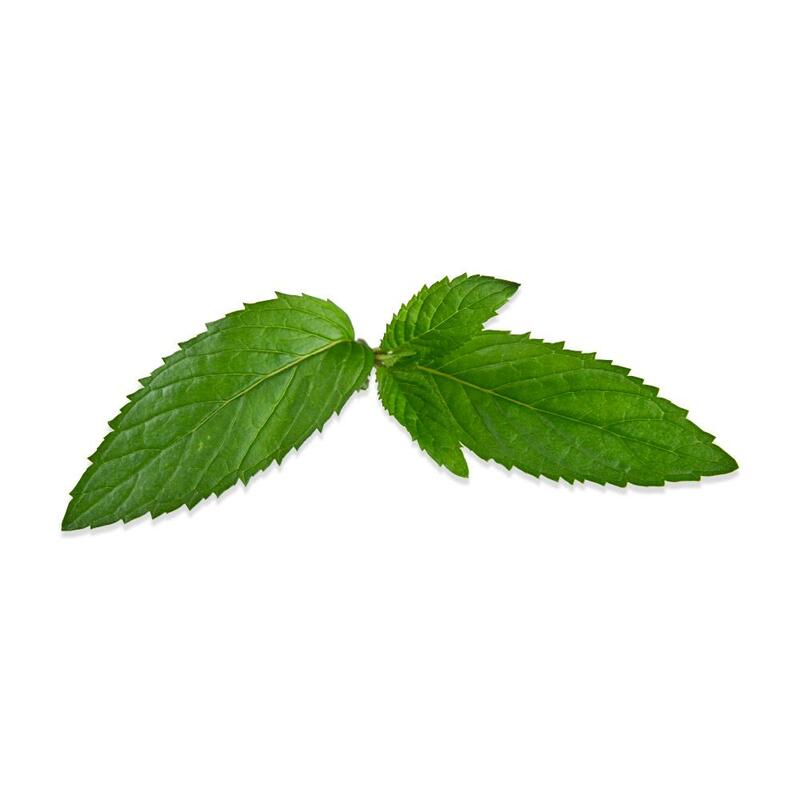 Peppermint’s potent, chilling menthol-mint flavor is best suited for use in desserts, as tea, or in craft projects. Its mint flavor is so strong that it tends to overpower savory dishes, where fresh spearmint would be a more appropriate choice. One of the most common methods for using peppermints in desserts is infusing. To infuse cream with peppermint flavor, scald the cream (heat it just until it starts to steam), then add peppermint tops and put the lid on the pot. Let the mint leave steep for at least ten minutes, then strain them out of the cream and continue with the rest of your recipe. To dry peppermint for use in tea, leave it on the stem and hang it to air-dry, use a dehydrator according to the manufacturer’s instructions, or (in a pinch), bake it in your oven at the absolute lowest temperature setting. Once dried, peppermint leaves can be steeped in hot water by themselves to make peppermint tea or mixed with tea leaves and/or other dried herbs to make tea blends. Fresh peppermint can also be used to make vibrant green peppermint syrup for use as a dessert sauce or ingredient – how to make herb syrups.